Due to environmental preoccupations and hard economic competition, many production firms are devoted to collect and remanufacture used end-of-life products. Therefore, throughout the past years, design and optimization of manufacturing remanufacturing supply chains have been receiving great attention from academic researchers and firms leaders. In the literature, most works have assumed that new products have the same quality and price as remanufactured ones. Furthermore, rare existing works have considered transport activities in manufacturing remanufacturing supply chains. However, in real-world systems, the remanufactured products are perceived as lower quality compared to new ones, and the transportation time usually has an impact on the inventory management. In this work, we aim to bridge the gap in works on manufacturing/remanufacturing, by investigating an optimal design of manufacturing-remanufacturing-transport system, while taking into account the distinction between new and remanufactured products, and transport activities between the manufacturing and remanufacturing stores and the purchasing warehouses in the cities. 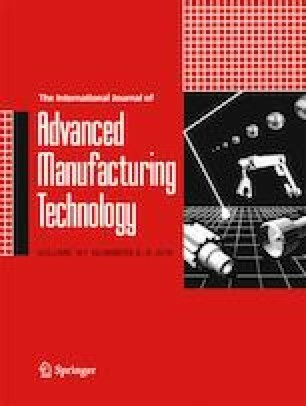 This paper considers a manufacturing/remanufacturing system composed of two parallel machines, manufacturing and remanufacturing stocks, purchasing warehouses, transport vehicles, and recovery inventories. The objective is to determine the optimal capacities of the manufacturing and remanufacturing stocks, purchasing warehouses, transport vehicles, as well as the optimal percentage of end-of-life returned products. These decision variables maximize the total profit function. An optimization method inspired from evolutionary algorithm is developed to find the optimal value of decision variables. Eventually, numerical results are presented to show the impact of returned products and transportation time on decision variables.